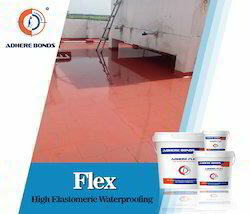 We are the Leading Manaufacturers and Suppliers of Water Proofing Coating systems. 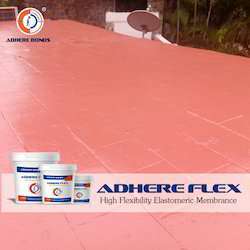 Adhere Water Proofing Chemicals offered support effectively blocking passage of water. Roofs Water Proofing Services offered support sealing pores and hair line cracks present in concrete. 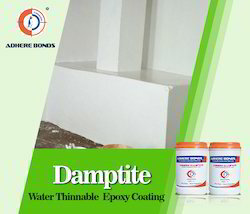 Waterproofing Chemical offered comprise cement based polymer modified waterproofing chemicals. 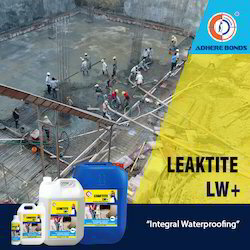 Chemical Water Proofing Services offered comprise high performance waterproofing solutions. Mfd service providing past 20 years. We are in Waterproofing Services for a decade, We have pioneered in this field with excellent track record with our clients with highly qualified engineers and experienced man power. We are specialists in providing bitumen waterproofing treatment for all types of roofs viz., R.C.C, Madras terrace, Bombay terrace, A.C. Sheet roof, Zinc sheet roof, Mangalore tiled roof etc. We are also specialists in providing cement based dampproofing course using chemical injection methods for basements, and waterbound structures like water sumps, overhead water tanks, bathrooms etc. Water Proofing Services for Toilets offered is designed to deliver reliable crack bridging support. 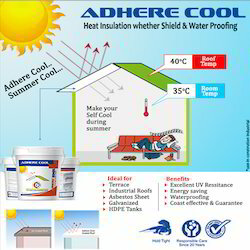 Water Repellent Coating - high grde, solvent type, single component, metha-acrylate based protective coating for concrete and stucco against environmental pollution. 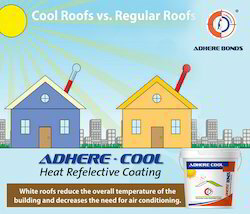 Productive coating for concrete designer tiles & stucco. 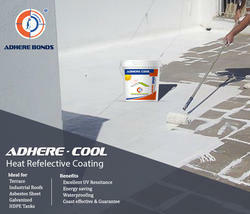 We are the Leading Manufacturers & Suppliers of Cool bond Agents (Thermal Barrier Coating). Excellent UV resistance water proof & breathable. 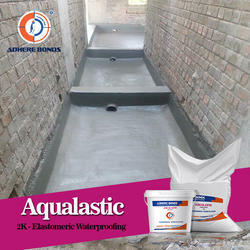 Aqualastic Polymer modified, cementitous, water proofing coating system which forms a highlyelastic water impermeable membrane. It consists of a liquid and powder when mixed together formsan easily brushable coating. 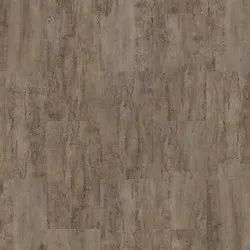 A Unique formulatiion Adhere Prime Coat Bond Agents is a single component primer coat, acts as a primer as well as binder over the plastered surfaces. Seals all pores thus, reducing the porosity of the surface. Terrace Water Proofing Services offered provides for total water ingress protection to concrete. 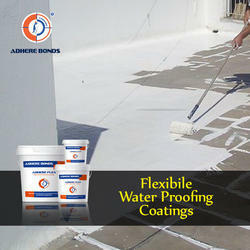 Water Proofing Coating Services offered supports blocking hairline cracks and providing for lasting service usage. 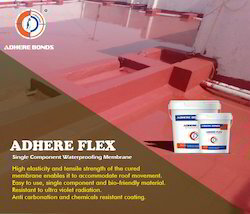 Water Proofing Membrane Services offered provides solutions having high tensile strength and strong impermeability. 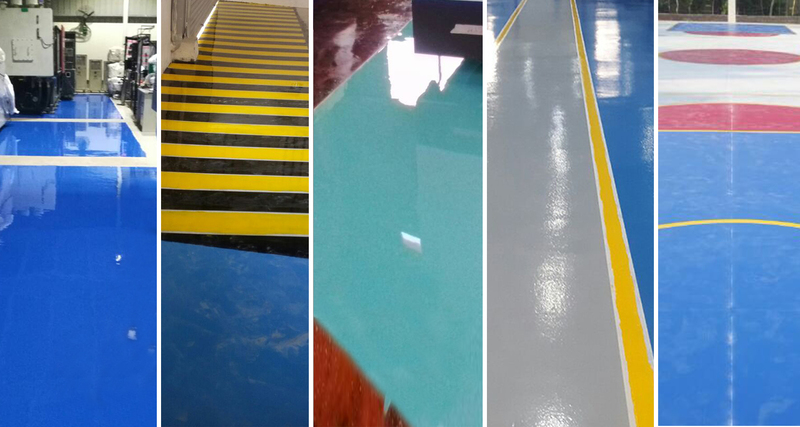 Water Proof Flooring offered allows optimum bonding support to sound substrates. 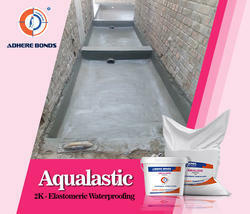 Watertank Water Proofing Service offered provides for excellent bonding to concrete & masonry. 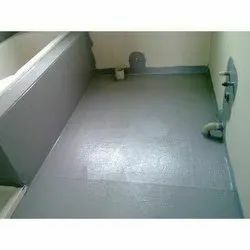 Bathroom Water Proofing Coatings offered is suitable for repairing of damaged elements in bathrooms. Waterproofing Cementitious Services offered provides for high water resistance and crack resistance properties. 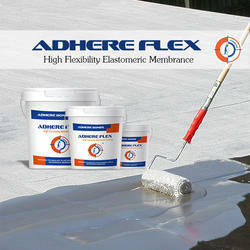 Flexibile Water Proofing Coatings offered provides safety from water leakage, ingress or seepage. 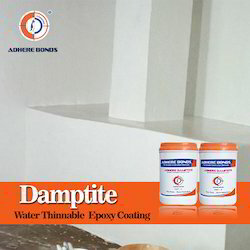 Water Borne Epoxy Coating for Damp Surface offered comprises high performance epoxy resin based waterproofing compounds. Rubberized Elastomeric Water Proof Coating offered upon post curing forms into hard, tough and strong film. 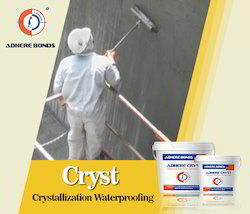 Crystallization Water Proofing offered provides for suitable resistance from growth of fungus.